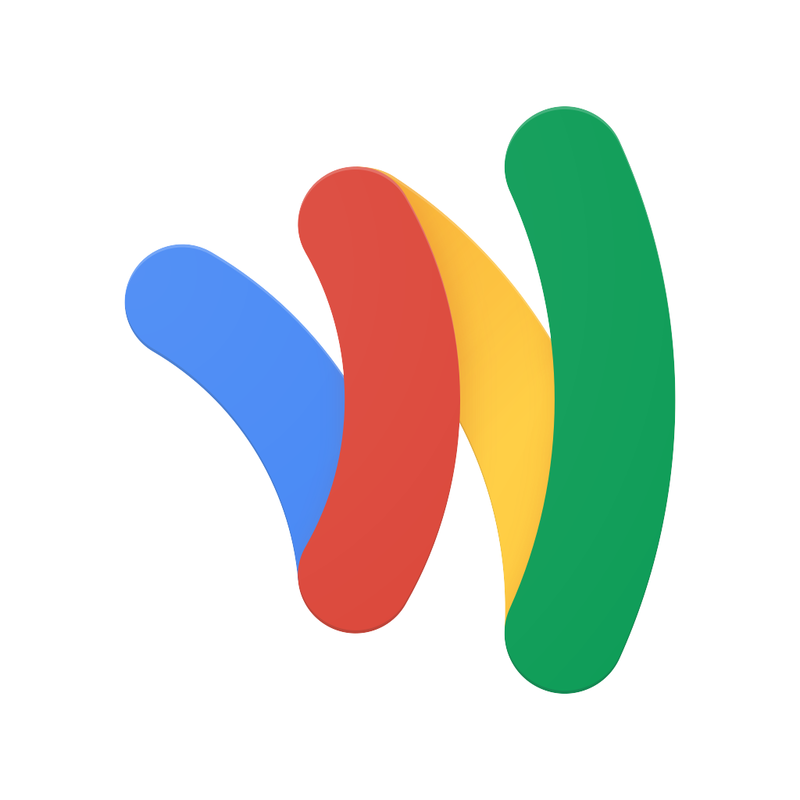 Google has just issued another major update to the official iOS app of its mobile payment platform, Google Wallet. 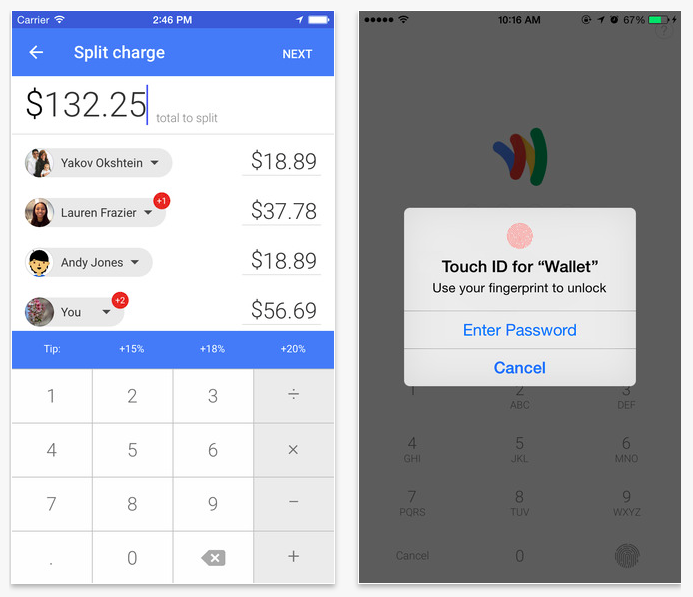 For starters, the latest update to Google Wallet for iOS introduces a revamped interface that’s in line with Google’s Material Design philosophy, which favors “bold graphics, fluid motion, and tactile surfaces.” The app’s interface has also been optimized with native support for the screen resolutions of the iPhone 6 and the iPhone 6 Plus. 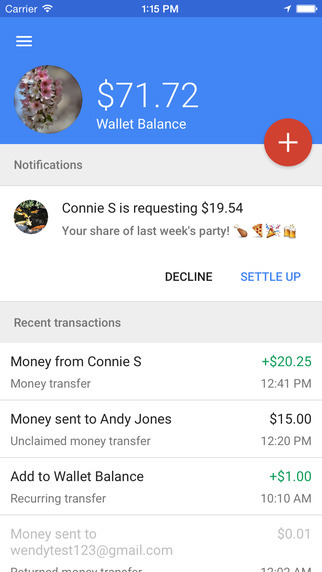 But the improvements brought by the new Google Wallet update are not just interface-deep, so to speak, as they also include several significant functional features. No doubt the most notable of these is the added support for splitting charges among a number of Google Wallet users. This lets you easily divide the cost of any transaction with other users, say, your friends at a bar or restaurant. Participants in the charge split are duly notified of their respective shares, which they can choose to settle up or decline. Another notable new function in the new version of Google Wallet for iOS is integration with Touch ID. This lets you quickly and securely access the app using only your fingerprint on iPhone 5s, iPhone 6, and iPhone 6 Plus. Google Wallet now also offers offline access to your loyalty cards and gift cards. Optimized for iPhone and iPod touch running iOS 7.0 or later, Google Wallet is available on the App Store for free. Google Wallet for iOS received its previous major update early last month, thereby gaining support for automatic balance reloads and low balance alerts. Last month, Google Wallet was also reported to have been among the mobile payment services that had gained additional traction thanks to the wide adoption of Apple Pay. 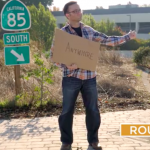 See also: You can now control a Nest thermostat using the Google iOS app, Android lead developer Google launching new ‘Route 85′ Web series for iOS developers, and Google for iOS features a new design and is optimized for the iPhone 6 and iPhone 6 Plus.